Home / Archive / featured / Is UTV about to become ITV Northern Ireland? Is UTV about to become ITV Northern Ireland? UPDATED | ITV is on the verge of taking over its Northern Irish counterpart, according to reports, which suggest that current owner UTV Media plc is preparing to separate its TV business in a multi-million pound deal. The deal would reportedly allow UTV to focus on running radio stations and comes after months of speculation surrounding the company. Earlier this year, UTV announced a review of its UK local radio operations, which led to Liverpool's Juice FM being sold off to Global Radio, operator of the Heart and Capital radio networks. And UTV's new TV channel for Ireland has run up millions of pounds in losses. The Belfast Telegraph reports today that UTV's TV business will be separated and sold off to ITV, which would leave just two of the regional licences that make up the UK's channel 3 network not under the control of ITV plc. An announcement is due to be made to the Stock Exchange next week, ahead of the publication of UTV's half-year results on Friday, according to the newspaper. It is still unclear what would happen to the recently launched UTV Ireland channel, which carries a number of ITV programmes to viewers in the Irish Republic, going head-to-head with commercial rival TV3, which in turn was recently sold to Virgin Media and UPC owner Liberty Global. Liberty Global also has a small stake in ITV plc. If it comes to fruition, UTV would be left with its radio business across the UK and Ireland, which will include new DAB digital radio stations TalkRADIO, TalkSPORT2, TalkBUSINESS and Virgin Radio, stations which are due to launch in 2016 on the new Digital 2 multiplex. 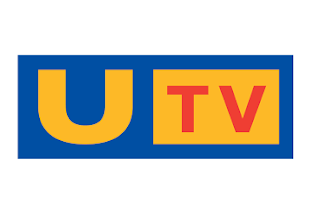 By splitting the business, UTV Media plc would be abandoning the TV channel that started it all off in the late 1950s. In October 1959, Ulster Television went on air, becoming Northern Ireland's station on what became known as the ITV Network. Following the merger of ITV stations in England, Wales and Scottish Borders leaving just one company - ITV plc - in control of the majority of the network, both UTV and Scotland's STV entered into a new agreement a couple of years ago with ITV, gaining a new affiliate status with the London-based plc. A takeover by ITV has raised concerns that local programming will be cut back on the Northern Irish channel. However, any owner of the Northern Irish channel 3 licence would have to commit to broadcasting at least 5 1/2 hours of local content each week, as stipulated in the terms of the licence. This is more than the number of local hours required for ITV's English regions. "The Board of UTV Media plc (“UTV”) notes the recent media speculation and confirms that it is in discussions regarding a potential sale of its television assets. Discussions are ongoing and may or may not result in such a transaction being agreed. A further announcement will be made when appropriate."